Langs Building Supplies has changed a lot since Bob Lang founded it in the 70s. But our values and commitment to delivering the highest quality products and services have always stayed the same. As a builder, Bob Lang was frustrated at how difficult it was to get his hands on quality timber and building supplies. He started a timber operation in his backyard to fill the gap in the south-east Queensland building market. With only two staff members, sales started to grow and Bob moved the operation from his backyard to Main Street in Beenleigh. By 1985, Lang Brothers Timber grew to become the main building supply shop for local builders. Bob saw opportunities to expand beyond timber and became Langs Building Supplies. 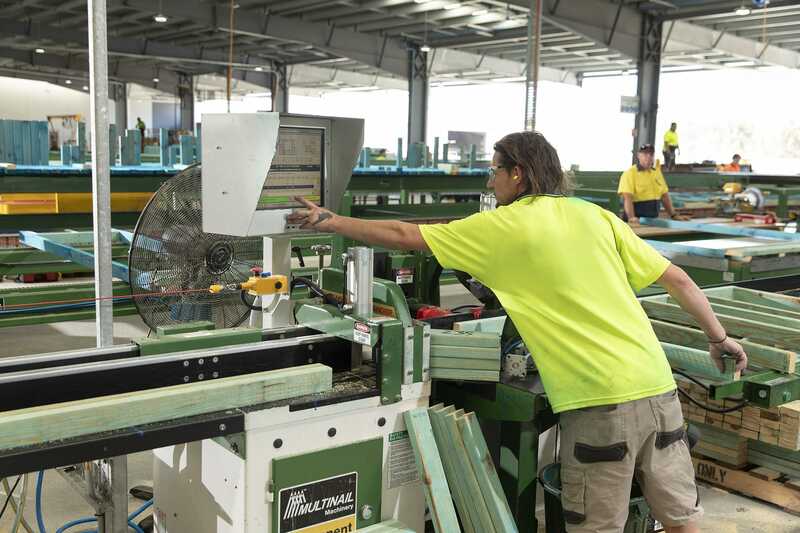 He built a 10-acre frame and truss manufacturing plant at Stapylton. Bob continued to grow the site at Stapylton and eventually moved the entire operation there, and sold the Beenleigh site. We built an aluminium window and joinery manufacturing plant at the Stapylton site, complete with a showroom for customers. We built a bigger and better warehouse so all timber products could be under one roof. This freed up more space and the hardware retail store stocked an even wider range of products. After many years of sustained growth in Stapylton, we opened a new location in Caloundra so builders north of Brisbane have access to all of the same services. We have been planning a new site in Ipswich and we’re excited to open in 2019.